Weekly Challenge #187: "String Theory- Blind String"
Back with the challenge after a 5 week hibernating period. We are in the USA right now, staying with my in-laws in South Carolina. They live in a rural area and there is nothing to do, so why not start tangling, just in time for this week's challenge. The weather is nice today, perfect to do it outside with the birdies singing in the background. Now isn't that relaxing? Just in time for this week's challenge. It was a busy week. 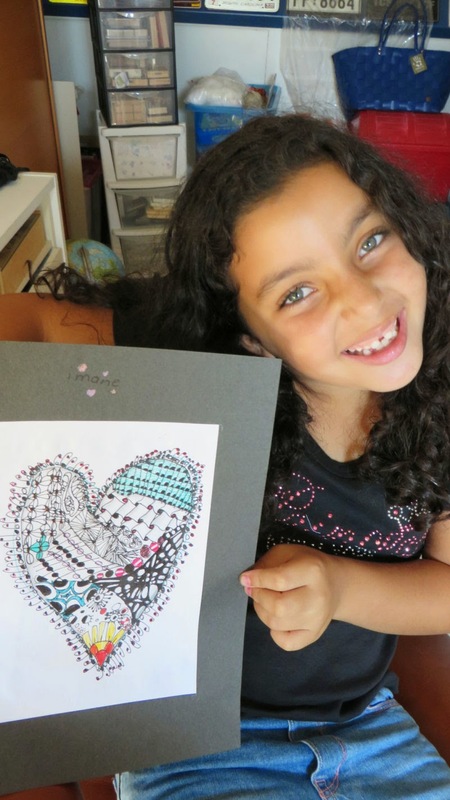 My granddaughter Imane was staying with us for three days and she kept me busy. She likes doing crafts and because we had lots of rain those days, we stayed inside and had fun crafting. 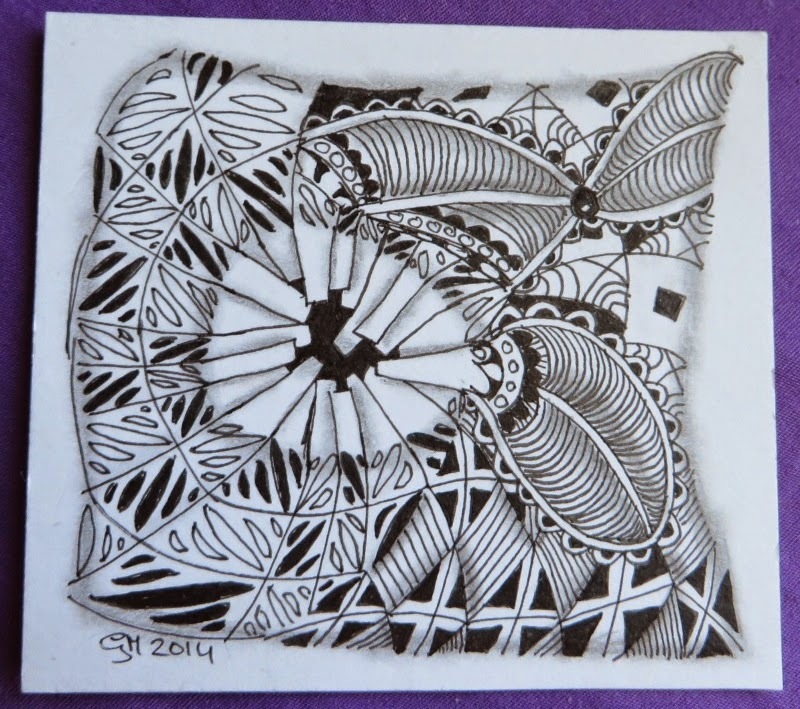 Also Zentangle came along. She wanted to make a heart as girls always like to draw hearts. Now didn't she do a great job for a first time tangler? Then it was my time to do the challenge. Sometimes it is nice to do a challenge a second time. That's what we are going to do this week. It will be "stripes", vertical, horizontal, diagonal, just anyway you want to. 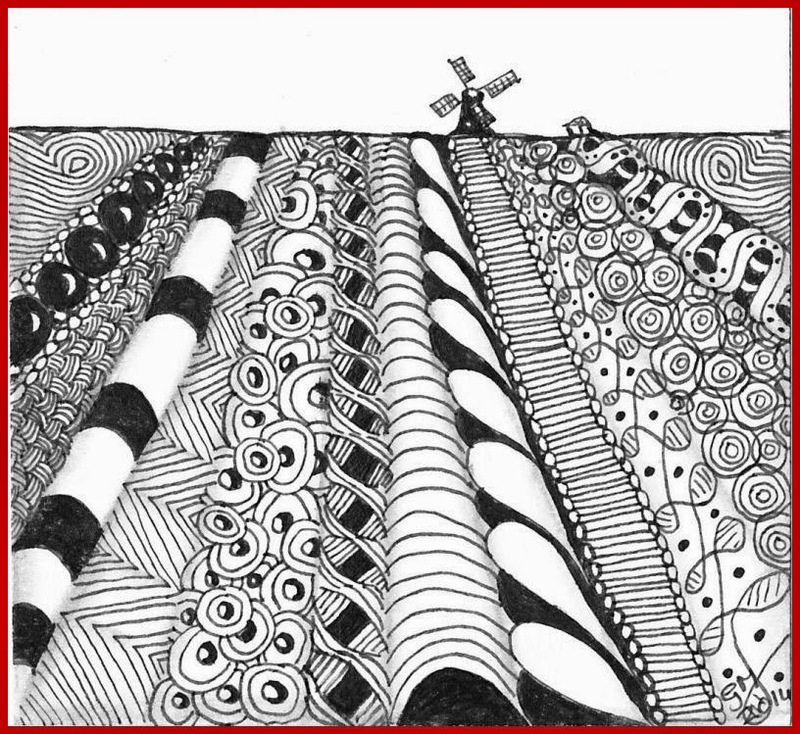 Since I live in the Netherlands, which is famous for the flower fields, and volunteering in our local mill, this idea came up to me. Missed 2 weeks of the Weekly Challenge but made it back this week. Time again for the-Use-My-Tangle-Challenge. The tangle we try out is MacDee. You can find it here . My first thought was, is this a tangle? How can I use it? But it is a nice background tangle and I used it with Mak-Rah-Mee . 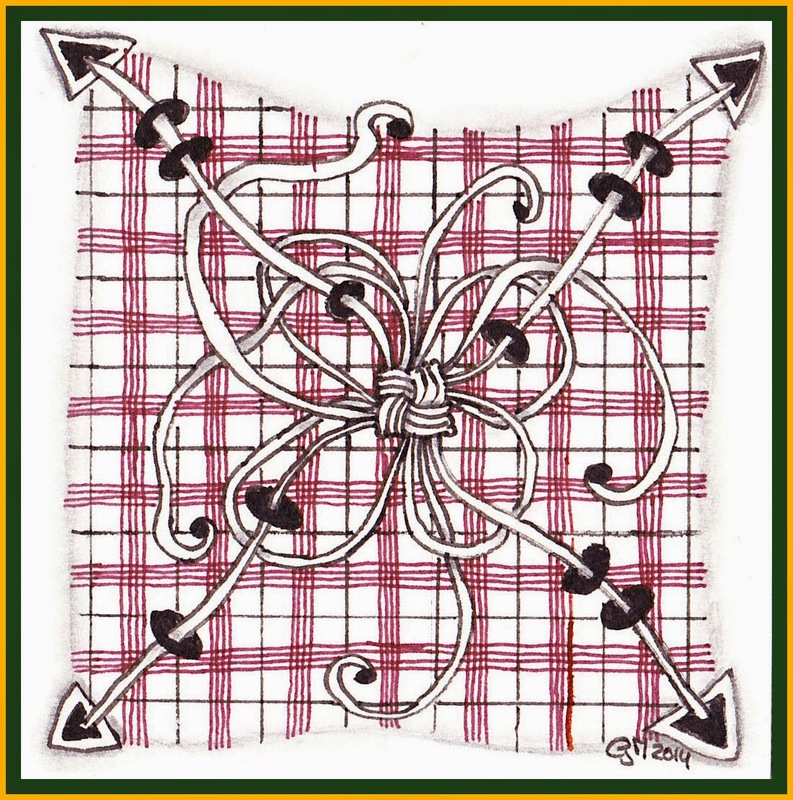 Weekly Challenge 177: "Truffle by Caroline Broady, CZT"
Tangels used are Truffle, Twisted Ribbons and Durn. Time to show a birthday cake for a change. 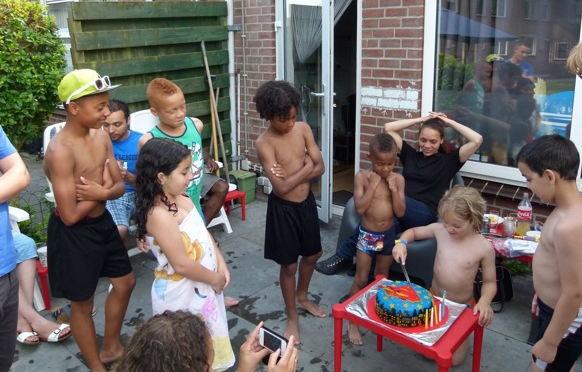 It was Owen's 8th birthday Tuesday but we celebrated it Saturday. It was a very hot day: 35º C (95º F) when I was in the kitchen making the cake that morning. No airco in the house but with the fan next to me it was comfortable to work. I had baked the (carrot)cake the day before and had frosted the layers and outside already so it was the decoration what had to be done yet. It was too warm to decorate the cake with a butter/cream cheese frosting, which I always do. It would have been too soft. I used marzipan instead. I had never made a cake with this so why not give it a try. 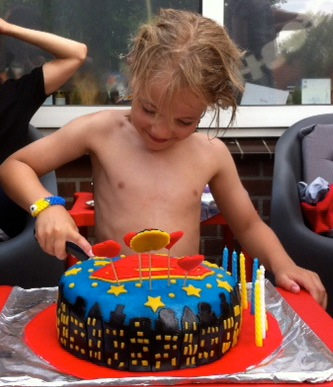 For boys, a super hero cake is always a winner. I made a mix of three super heroes. I was satisfied with the result. 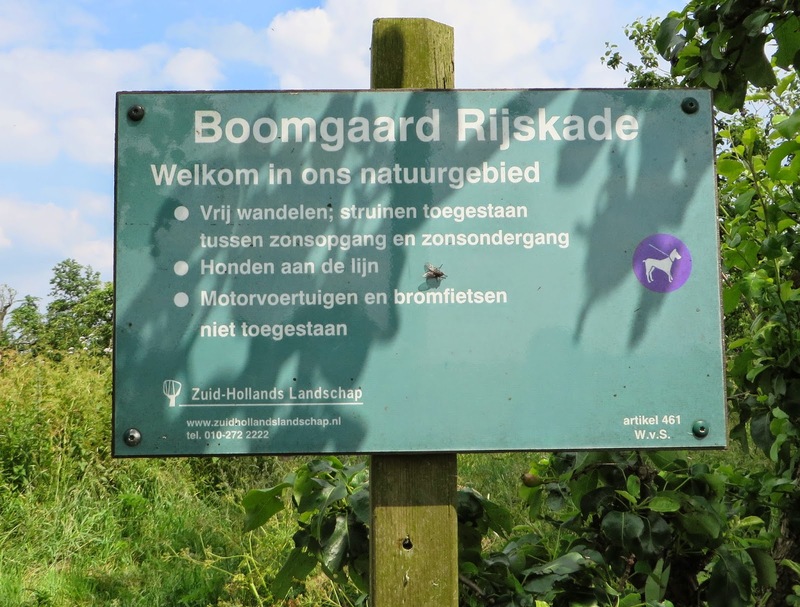 A week later we drove to Meerkerk again and walked another part of the trail, the 7 km loop. Again it was a nice warm day. This time the route led us behind the windmill. On the right side is an old orchard (Rijskade) with old apple and pear varieties. It is bordered by pear trees which has been espaliered. This was a nice place for a break. "Molenkade" is the name of this path with pollard willows. Following this path we ended up at the "Zederikkade" near the "Vlietmolen" mill. Our first walk was the route with numbers on this map. The second walk is the loop marked by letters. All of these pictures are best viewed by clicking on them to enlarge! 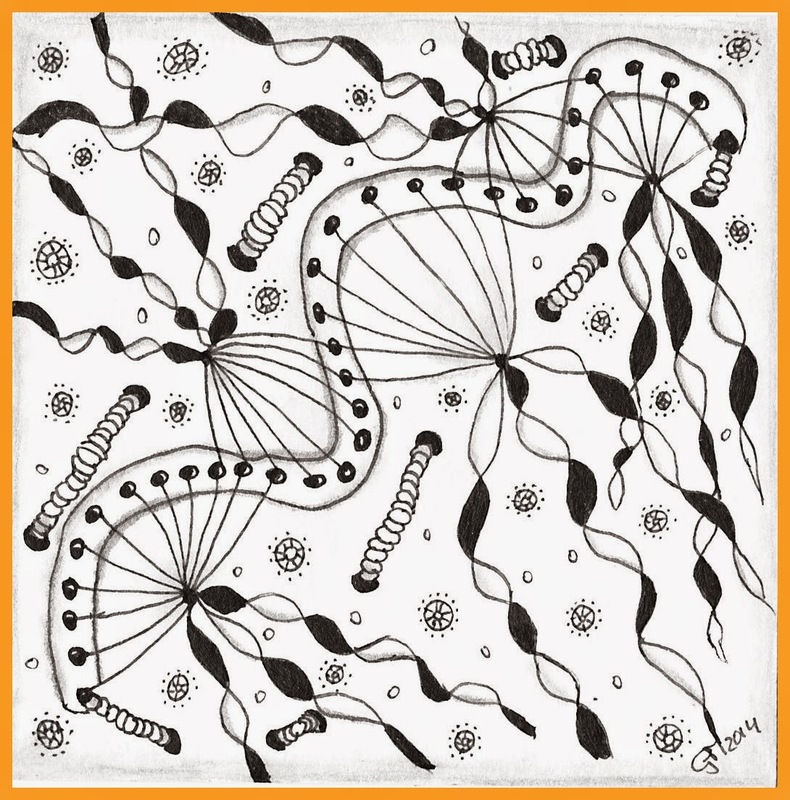 It's the first Monday of the month, that means the UMT (Use My Tangle) challenge. This time it is brought to us by Henrike Bratz. We are going to try out her tangle in the way you like it. The name of her tangle is Crux. It can be found on her blog. 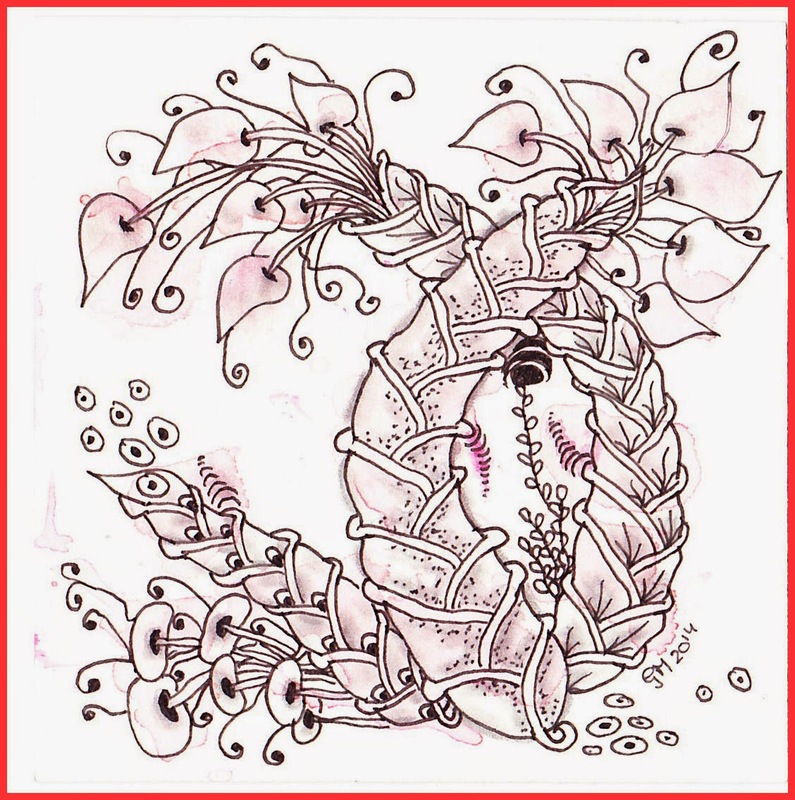 It can be done in different variations which I tried in this Zentangle. Thanks Henrike to give Crux a try! Although this walk is called the "Purperreiger wandeling" (Purple heron Walk), I was not able to make photo's of them but we will return another day and try again. I definitely need a binocular to watch the different birds in this wetland area. 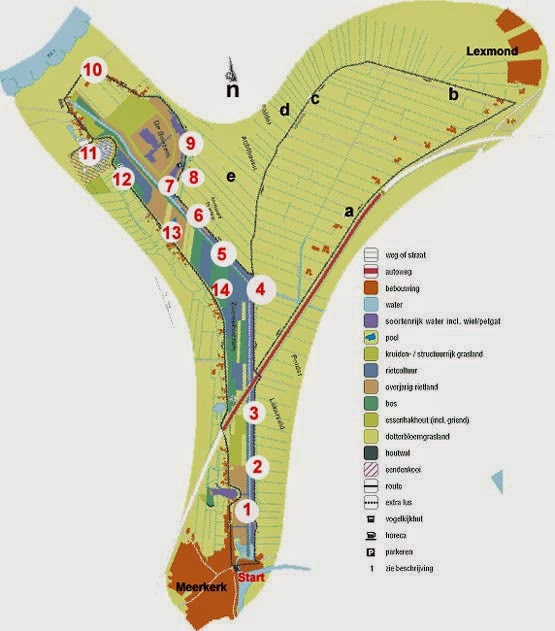 This area is called the "Zouweboezem", and is one of the most important breeding ground for many birds and it has the biggest population of purple herons in the Netherlands. They breed in the reed beds. Hand-woven duck nesting basket and beautiful water lilies. The mill is occupied. Isn't this a lovely house to live in? This used to be a mill, it has a reed roof just like the Vlietmolen. ....view of reflections in front of us. This one has seen its best years, it is condemned. View from the dike over the river Lek. Walking on the other side of the Zouweboezem from where we can see the mill, we passed earlier, in the distance. Reed roof covered with moss. I like the texture. An idea for your unused teapot?